This year’s Axpona was full of surprises. 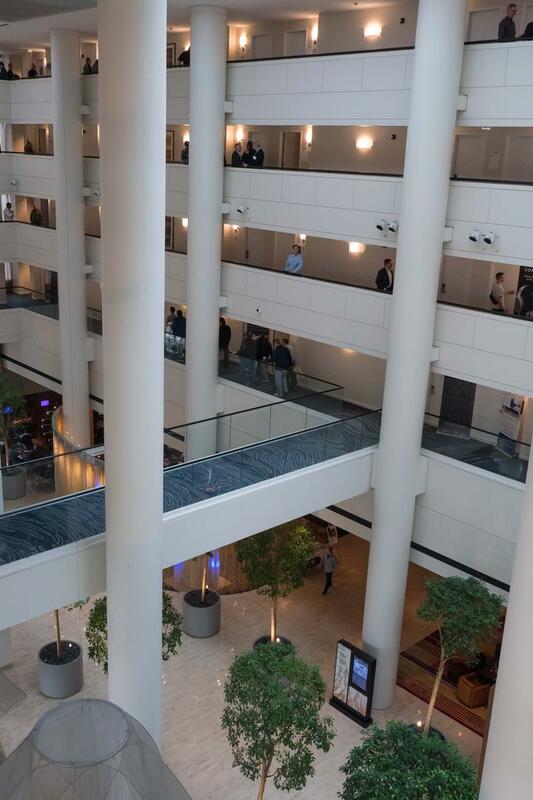 First there was the new venue, the Renaissance Schaumburg Convention Center, which was designed specifically for trade shows and other gatherings of like-minded folk. It was large, clean, and I had a TV in my bathroom’s mirror (which turned on automatically every time I turned on the lights in the bathroom). But the “downside” of this big hotel was this was a HUGE show in terms of both exhibitors and rooms. 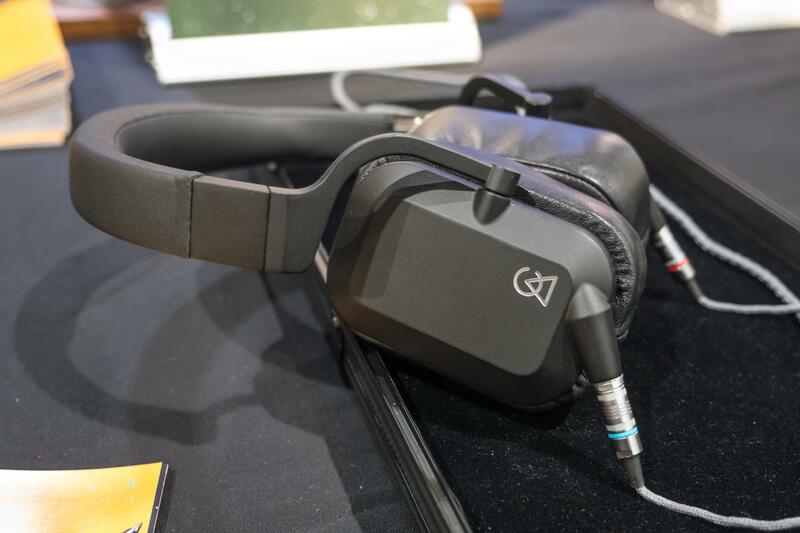 And while some companies held off new product introductions until the High End Munich show in May, there were more than enough new digital, portable, and headphone products to fill this report thrice over. My apologies to those manufacturer representatives who made a special effort to get me product info that didn’t make the cut. So, without further ado, let’s begin. Nick Doshi created a headphone amplifier for his own use for location recording that turned out so well that he decided to make more. 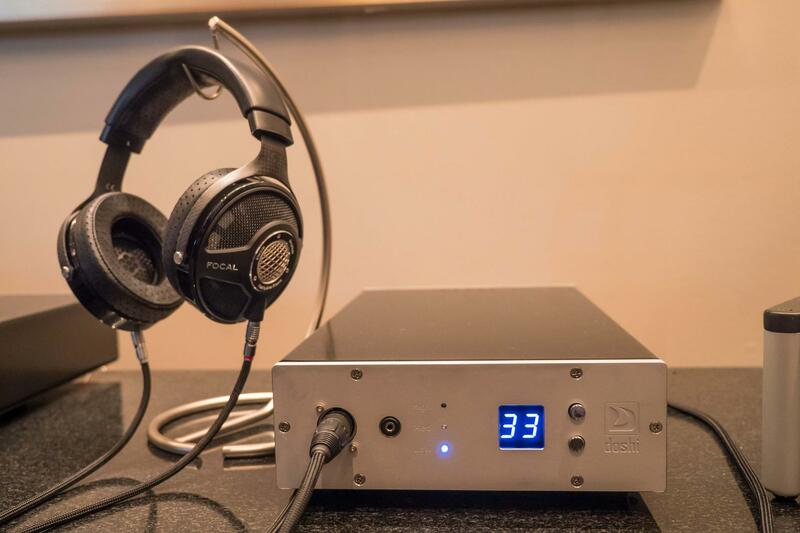 The Doshi headphone amp ($3795 MSRP) employs custom-made Sowter output transformers coupled with high-voltage drive circuitry to provide maximum power into three impedance load ranges. With a discrete differential volume control that uses the same relays as the Doshi preamplifier, and an amplifier section that has three separate regulators per channel in addition to direct coupling from input to output, this could be a new and more inexpensive way to add that special Doshi sound to your system. Meze Audio had a “sneak preview” of their new Empyrean headphone (price TBD). This joint design between Meze and Rinaro uses an “isodynamic hybrid array driver” dubbed the MZ3. It combines two differently shaped voice coils on one planar driver diaphragm. Meze claims this new arrangement offers advantages both in high-frequency extension and improved localization. The new driver acts much like a two-way transducer but it needs no crossover. Combine that with the Empyrean’s carbon fiber headband and aluminum skeleton earcup design and you have an earphone that accommodates a wide variety of head sizes for optimum listening. I was so gobsmacked by the Empyrean headphones that I completely forgot to take their picture. The image was supplied by Meze. SOTM unveiled its latest computer audio products, including the sNH-10G audiophile Ethernet switch (Price TBD). With eight LAN ports and two SFT ports this switch can serve as the backbone of an audiophile computer network. SOTM also had a new streamer called the sMS-200 NEO ($510 MSRP), which is Roon ready and features DLNA, MPD, LMS, HQplayer, NAA, Shairport, and Wi-Fi support. SOTM’s philosophy, where a user can add more robust power supplies as needed, is a clever modular approach to system design. The company’s sCLK-OSX10 10MHz sine-wave word clock ($3500 MSRP) can support four different digital devices while the SPS-500 DC power supply ($500 MSRP) has user-selectable variable voltage outputs. 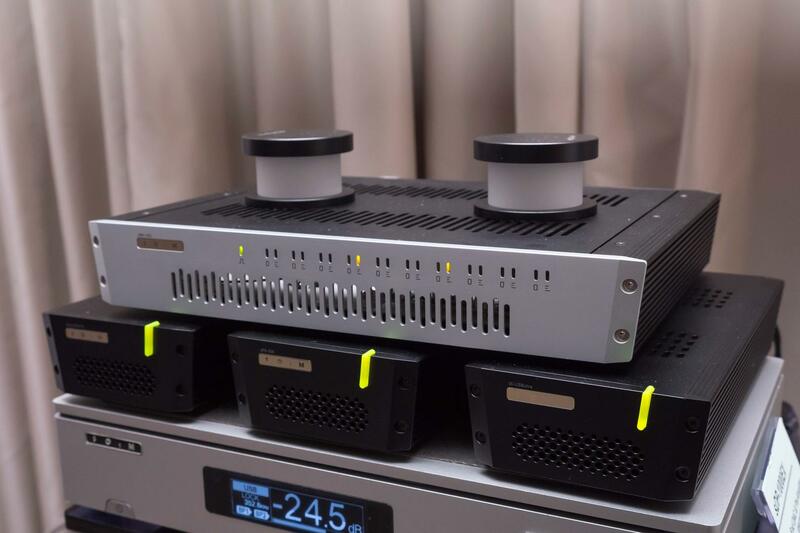 SOTM’s display at AXPONA had a nearly mind-numbing number of devices—all connected like a small megalopolis of components—but they certainly worked together in harmony. 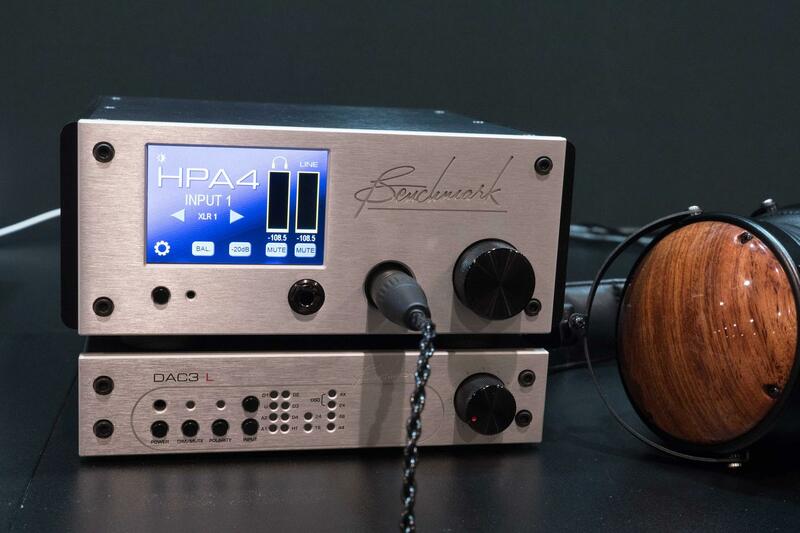 Benchmark Media Systems had a new playmate for its AHB2 power amplifier with the HPA4 headphone and line amplifier ($2995 MSRP). Benchmark partnered with THX, Ltd. to implement the THX Achromatic Audio Amplifier (AAA, as trademarked) technology into the HPA4, which is claimed to reduce harmonic distortion, intermodulation, and crossover distortion by 20 to 40dB. With a 256-step relay gain control and a signal-to-noise ratio of 135dB to allow it to mate well with the maker’s amp, the HPA4’s headphone amp can put out 6 watts of power into 16 ohms. The color touch-screen control surface lets users chose inputs and outputs quickly, and the balanced and single-ended line outputs permit the HPA4 to perform big-boy preamplifier duties. 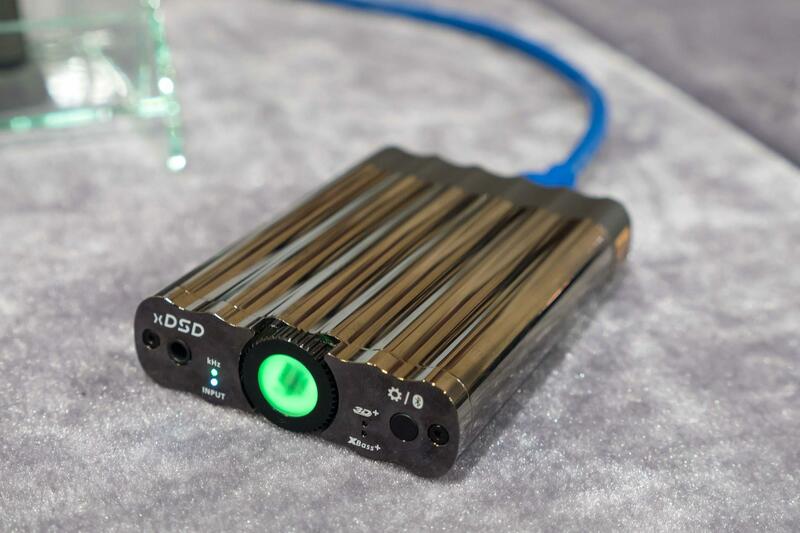 IFI calls its newest DAC part of “Generation X.” Wishful thinking perhaps, but the compact and stylish XDSD DAC could be all a Gen X audiophile needs. It includes USB, SPDIF, ACC, and aptX Bluetooth and TosLink optical inputs. The XDSD can employ either variable output with a maximum capability of 3.8 V/24mW into a 600-ohm headphone or fixed output at 2.1 volts, both with an output resistance of less than 1 ohm. The XDSD supports PCM up to 768kHz and DSD to 512. It only weighs .28 of a pound, making it an ideal DAC for road warriors. And even though it weighs next to nothing, it still sports a 6035-T5 Aluminum-magnesium case. The internal battery for completely off-the-grid use can supply up to 10 hours of play time between recharges. And, yes, it has MQA and balanced outputs for headphones, using IFI’s exclusive S-Balanced technology which is claimed to offer a 9dB reduction in noise over more conventional balanced output solutions. Like earlier IFI DACs, the XDSD includes the 3D matrix and XBass switchable options. Cambridge Audio launched its new Edge series in room 352. The series includes a power amp, an integrated amp, and the focus of my report, the Edge NQ preamp and network player ($4000 MSRP). The NQ offers a plethora of inputs that include Wi-Fi, USB, Ethernet, SPDIF Coaxial, Bluetooth 4.1 with SBC, AAC, aptX and aptX HD protocols, Chromecast, as well as Cambridge Audio’s proprietary streaming platform, StreamMagic. All the Edge series share a similar design philosophy, which emphasizes short signal paths. The NQ supports PCM up to 384kHz and DSD up to 256x and has provisions for an external USB 2.0 data drive. 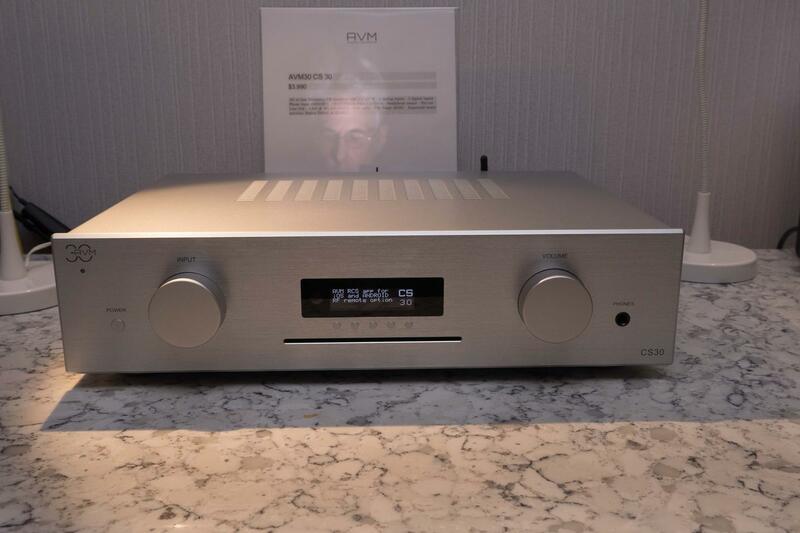 AVM had a pair of its latest components aimed at thrifty audiophiles: the CS 30 CD player ($2195 MSRP) and the MP 30 “digital all-arounder” ($2895 MSRP) on prominent display. Both include a Teac slot-in Pure CD drive with a suspended mount for silver discs, and both also have five digital inputs that include two coaxial SPDIF, two optical TosLink, and one AES/EBU. One difference between these two products is the MP 30 also supports Wi-Fi streaming. AVM has also developed a soon-to-be-released app in iOS and Android for the MP 30 that offers remote control via Wi-Fi. Both units have the same clean looks as their more expensive brethren as well as a high level of sonic finesse. 64 Audio featured a duo of new in-ears. Its Trio ($2295 MSRP) is a universal-fit in-ear monitor with three drivers. Two are balanced-armature designs while the third is a dynamic driver. The Trio features a 104dB/1mW sensitivity and -15dB of isolation. The aluminum shell has a small vent so bass pressure can’t build up in your ears. 64 Audio’s other new in-ear was the A12t ($1999 MSRP) that uses twelve drivers: four for bass, six for midrange, one for mid-high, and one for TIA high. (TIA stands for tubeless driver.) Unlike other in-ear designs that employ multiple tubes from the openings of the BA drivers to the tips, the 64 Audio design features a single large-bore tip. Moving from in-ears to full-sized, over-ear, closed capsule headphones, Campfire Audio impressed me with its new closed-back but portable Cascade headphone ($799 MSRP). 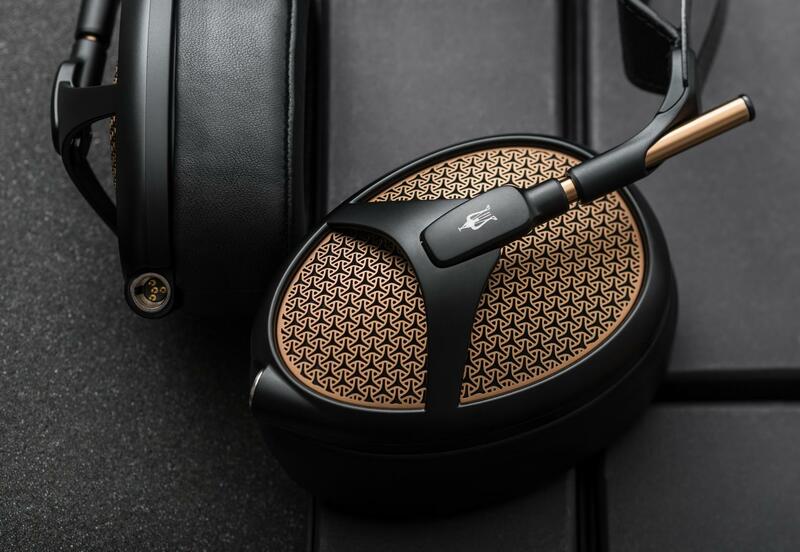 It employs a 42mm beryllium PVD dynamic driver and uses premium materials such as forged and machined aluminum caps. From Cascade’s specifications of 100dB sensitivity and 38-ohm impedance, it should be easy to drive. I know the Cascade was exceedingly comfortable and offered enough isolation, even in the noisy ballroom, so I could enjoy my music almost undisturbed. I count over twenty currently in Project’s S2 lineup, and the company added even more offerings to its large S2 brood of mini-sized components (they’re like little bunnies). For AXPONA, Project added the Headbox S2 digital ($299 MSRP), Stereo Box S2 BT ($299 MSRP), Accu Box S2 ($249 MSRP), and, finally Control It DS/RS full-sized remote ($89 MSRP). Of these, the Accu Box was for me the most interesting introduction. It offers a battery-based power supply that replaces the wall-wart that came standard with many S2 components. Since MQA was announced I’ve attended more than a half-dozen public demos in addition to the many hours I’ve spent listening at home on my own systems. At AXPONA I had a chance to partake of another demo, courtesy of Peter McGrath in the Paragon Audio room, with the Wilson Audio Alexandria XLF loudspeakers. Actually, I attended the demo twice. The first time I sat in the prime listening seat while during the second session I sat in the seat directly next to the prime listening seat. McGrath’s demo, using his own stunningly good recordings, codified for me two vital details about MQA demos and MQA listening in general: My first truth, which I have found universal, is that if you really want to hear what MQA can do, you must begin with a well-recorded phase-correct recording of instruments in a real acoustic space. MQA can’t make a badly mixed studio recording sound good. My own live concert recordings with the purist sonic characteristics have sounded better when encoded into MQA. Peter McGrath’s magnificent recordings were also improved by allowing an easier listen into the mix and more readily identifiable soundstaging. Peter called it “more human.” To hear MQA’s subtle but powerful differences you must listen to a good recording of Mahler or Mozart, not Metallica. The second and equally important detail about MQA A/B listening comparison tests is if you are not in the prime listening position, which is the one that triangulates most precisely with the transducers used during the listening session, you are not in a position to judge MQA sound quality properly. When I was even one seat to the side of the central listening position the effects of MQA were vastly reduced to the point where they were almost nonexistent. I have been in sessions where even professional recording engineers (and audio reviewers) have made dubious (and IMHO downright wrong) assessments of MQA’s sonic effects based on a group session where almost everyone in the room is in a bad seat (which is any seat that is not properly triangulated with the transducers). In all the other seats you might as well be listening through a Dixie cup and a string—really. 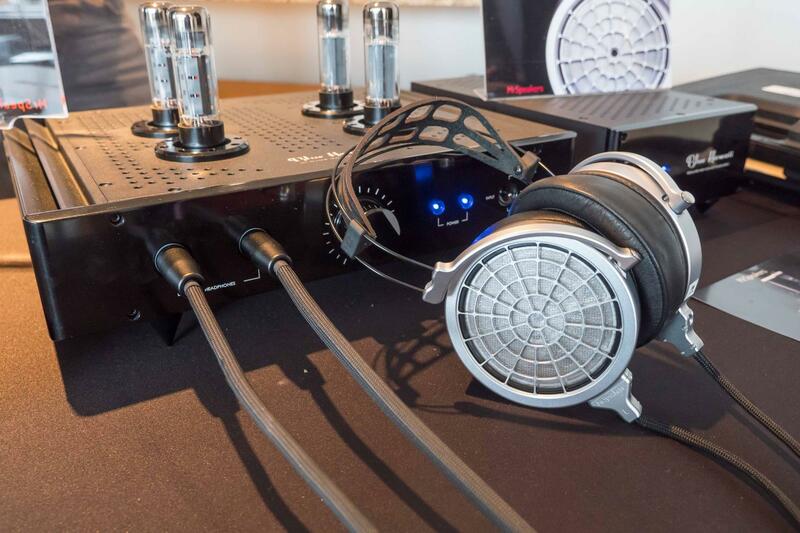 The MrSpeakers Voce headphones ($3000 MSRP) driven by the Blue Hawaii Special Edition tube-based headphone amplifier ($5800–$6888, depending on options) using a Mojo Audio CAT server ($4555 and up) connected to a Schiit Audio Yggdrasil Rev 2 DAC ($2399) delivered a sizable dose of tube-driven electrostatic-headphone goodness. The Debut 2.0 DB62-BK bookshelf loudspeakers ($300/pr.) coupled to the EA series EA101EQ-G integrated amplifier ($700), sourced from the Discovery Music Server DS-S101-G ($1100) and debuting ELAC’s prototype speaker cable ($70/pr.) floated many audiophile boats, including mine. Gayle Sanders unveiled a soup-to-nuts audio system called Eikon Image 1 system ($25k) that sounded superb, especially considering the small space it was in. The loudspeakers used a ribbon tweeter and looked great. Tidal streaming in virtually every room that had the resources for Internet. Many other rooms used downloaded files from Tidal. Judging from the crowds in the large expo ballroom, I’d say new LPs for their turntables. Delmark Records even had sealed copies of the must-have blues album, Junior Wells and Buddy Guy’s Hoodoo Man Blues.